Canadian Finance Minister Jim Flaherty says the Canadian economy needs Corporate Canada to start spending the $525 billion in cash and other liquid assets that it has on hand. 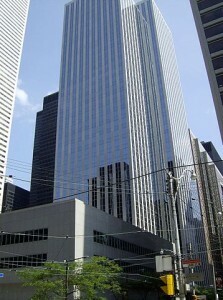 Since the financial crisis of 2008, Canadian corporations have been increasing their current assets in an effort to create a larger liquidity cushion to mitigate the risk from possible future economic volatility. The Finance Minister says spending or paying out as dividends some of the half a trillion dollars in cash and cash equivalents would boost the economy at a time when growth is lacklustre. The international financial crisis is still a very recent memory for most in business, and it cannot be denied that Greece, Spain and Italy currently appear to be the sovereign versions of Bear Stearns, Lehman Brothers and Morgan Stanley circa August 2008. Telling a CFO to “get out there and spend” with that backdrop is kind of like advising a heart patient who recently went through an angioplasty procedure that he should rush headlong back to Bardi’s Steakhouse for his favourite 24 ounce Rib Eye. Then there’s the specific details of these allegedly high corporate cash levels. … When you tally up the debt figures, it tells a different story. None of these poster children have net cash on hand. Whether or not they are underlevered or overlevered entities depends upon their business fundamentals: such as trailing and forecast EBITDA, net income and free cash flow. Those metrics, and their sustainability in the face of a global recession, are the only way to truly gauge whether or not these three media examples are cash rich or digging their way out of an earlier debt hole. 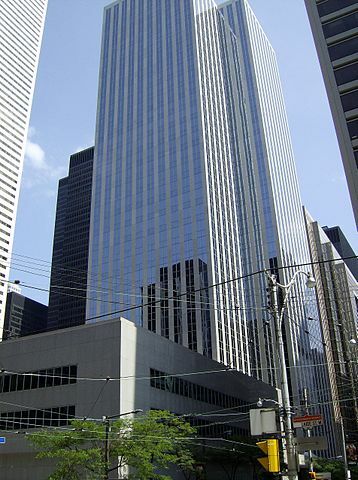 Canadian non-financial corporations have historically held cash with a combined value equivalent to 10 percent of GDP, much less than the 30 percent of GDP that it is worth today. tagged with Bank of Canada Governor, Canadian Finance Minister, corporate cash, Jim Flaherty, Mark Carney, Mark McQueen, SeekingAlpha. The real issue is that the Harper hand-puppet Flaherty has been non-stop wailing about how we need to give corporations more money because they’re the job creators – not recently – and all they need is extra cash and they’ll create a lot of well paid family supporting jobs quick as a wink!? The revelation that corporate Canada has been sitting on their hands doing nothing for job creation while sitting on a 500 plus billion dollar cash position and while continuing to shed workers and un-employ Canadians; puts the lie to the Harper/Flaherty contention that the supposed corporate-job-creators (the oxymoron of all time) must have ever greater tax breaks and public money gifts in order to ‘create jobs’. This is patently false and both Harper and his hand puppet Flaherty know it. To finally have to admit that pitch-forking gobs of money from workers to corporations will never resuscitate the moribund economy and produce good well paid middle class jobs. It will only weaken governments and compromise democracy itself. In fact as both of these stand up comedians are well aware it is not corporations that create jobs – in fact they are always 24/7 trying to shed jobs and lower wages of workers – it is consumers and consumption which creates jobs. The question is when will some few of the many corporate minions in the media and politics actually tell the truth that it is only when consumers incomes increase or at least stabilize that any new jobs will be created outside of natural resource sector jobs which are here today and gone tomorrow.